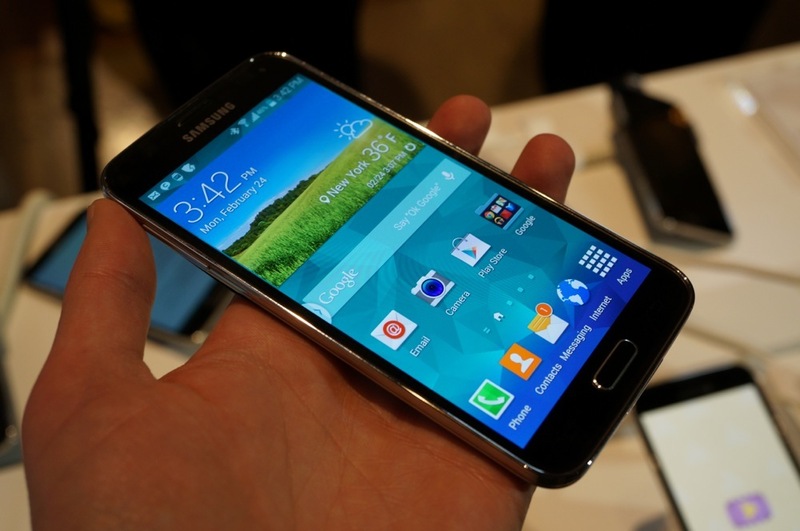 Not only will AT&T’s pre-order go up for the Galaxy S5 from Samsung tomorrow morning, but so will US Cellular’s. The company announced this morning that after an instant rebate, customers can pre-order Samsung’s newest flagship for $199.99 on contract. As an added bonus, those who pre-order will also get a free $50 Google Play gift card to use at their own discretion. US Cellular will have two color options for the Galaxy S5, which includes White and Black. As a reminder for those interested, the device goes on sale in-store and online starting April 11. Residents of select towns in Iowa and Wisconsin will be able to get a special hands-on preview of the device, starting March 25. For details on how you can be one of the first to check out Samsung’s latest offering, look below for store locations that are hosting the events. CHICAGO (March 20, 2014) – U.S. Cellular (NYSE: USM) and Samsung Telecommunications America, LLC (Samsung Mobile) have announced that the 4G LTE™ Samsung Galaxy S® 5 will be available for customers to preorder at uscellular.com/GS5 beginning tomorrow. The Galaxy S 5 will be offered in Charcoal Black and Shimmery White and will be $199.99 after an instant rebate is applied. In addition, U.S. Cellular is offering a $50 Google Play promotional code for free to anyone who pre-orders the device online. It will be available in stores for purchase on April 11 along with the Samsung Gear™ 2, Samsung Gear 2 Neo and Samsung Gear Fit. Customers who purchase the Galaxy S 5 from U.S. Cellular receive a valuable rewards program that recognizes customer loyalty and a network that covers them wherever they want to go. Currently 90 percent of U.S. Cellular customers are covered by a 4G LTE network, and the Galaxy S 5 is the latest 4G LTE smartphone to join the company’s cutting-edge device line-up. 101 Junction Rd., Madison, Wis.
740 N. Water St., Milwaukee, Wis.
5670 N. Port Washington, Glendale, Wis. The Galaxy S 5 has a 5.1-inch screen with a Full HD Super AMOLED™ display and is powered by technology that enables intuitive new camera experiences, lightning fast data connections, and fitness and nutrition tracking. You can capture photos and memories in an instant, watch crisp HD videos on an adaptive display with wide viewing angles, and keep a close eye on your exercise progress and monitor your heartbeat with S Health™ and the world’s first built-in heart rate monitor†. The second generation of Gear offers a refined look and customizable experience with a trio of options: Gear 2, Gear 2 Neo and Gear Fit. The Gear 2 and Gear 2 Neo feature interchangeable straps, compatible with standard watch bands for a personalized look. Both feature a 1.63-inch Super AMOLED display with new shortcuts and additional app support for easier navigation. The Gear Fit has an athletic design with a 1.84-inch curved Super AMOLED display and interchangeable band, The Gear Fit tracks your steps, monitors your heart rate on the go, and provides notifications of incoming calls, texts and emails.